With the first anniversary of the local elections earlier this month, the largest Group on Rhondda Cynon Taf Council have provided residents with an update on the positive work that is on-going across the County Borough, as Labour set about delivering on their commitments to create a more vibrant and prosperous RCT. Over the last year, Labour Councillors across Rhondda Cynon Taf have been working hard to ensure that communities across the County Borough are benefiting from the unprecedented levels of investment in RCT, and excellent progress is being made on all 12 of the ambitious core public commitments made to residents. Protect the schools education budget from Tory cuts and increase the funding by at least £1m each and every year. The 2018/19 budget will see £2m allocated to the schools budget – double our original commitment – providing vital protection to local schools as austerity continues to be a feature of the Conservative Government’s budgets. Invest in Extra-Care facilities throughout the County to ensure those that need care and support in their old age get it. £50m has been earmarked and four further sites have already been identified across the County Borough to transform the provision of social care across Rhondda Cynon Taf. Work is also progressing on delivering the Extra Care facility at the former Maesyffynnon Care Home site in Aberaman, with the construction phase starting shortly that will see the delivery of 40 Extra Care apartments. Continue to invest in children’s play areas to make sure every child has access to good facilities. Labour Councillors recently announced that a further £615,000 investment has been agreed for this year, which means that by April 2019, over 100 play areas will have benefited from £3m investment since 2015/16 – representing more than half of the total play area improvements carried out across the whole of Wales over the same period. Work with the Welsh Government to deliver the Valleys Metro to ensure we have a modern and efficient train service. A number of park and ride schemes have already been identified for development across the County Borough, and further funding has also been agreed to progress Phase 2 developments at Porth, Abercynon and Pontyclun under the 2018/19 budget. The City Deal Cabinet has also recently approved £40m of City Deal funding to the Metro Central project, which will be the foundation for extending the Metro upwards through the Valleys. This development will allow for an improved service between the Valleys main lines and Cardiff, where trains will be scheduled for every 15 minutes. Invest in our outdoor sports facilities with new 3G pitches to encourage physical activity. Labour have continued to invest in this area, and are in the process of ensuring that all residents live no more than 3 miles from a 3G pitch. 9 of these facilities have been delivered so far, and a further 4 are currently in development at YG Rhydywaun, Ferndale Community School, Porth County Comprehensive School and Bryncelynnog Comprehensive School. We have also invested over £3m into Council-owned leisure centres, at a time when other Authorities are having to outsource leisure provision. Invest in infrastructure across the County Borough including the Mountain Ash Cross Valley Link, dualling of the A4119 at ‘Stinkpot Hill’, completion of the Llanharan Bypass and the Taff Vale redevelopment. Excellent progress has been made on the delivery of the Cross Valley Link scheme, with work to install the 60 metre bridge structure commencing later this summer. Work has also started on site on the almost £50m Taff Vale development, which is set to bring around 1,000 jobs to Pontypridd. Further funding has been released to support the continuation of preparatory works on the Llanharan Bypass and the dualling of the A4119 under the £23.6m allocated to improving highways in 2018/19. Recent plans have also been announced to deliver a Gelli-Treorchy link road and an A465/A4059 Aberdare link route that will provide direct access to the A465 through the £300m investment package to be delivered over the next five years. Support our town centres with free public access Wi-Fi and a new maintenance grant to support small traders. So far, Labour have successfully rolled out the Town Centre Maintenance Grant pilot in Tonypandy and Mountain Ash and continued with the wider investment in our town centres, with £1.5m announced in the budget to support the regeneration of Tonypandy town centre, providing easier access to shops. Plans are also currently being developed for the pilot of free Wi-Fi in our town centres. Continue the significant investment in our highways by resurfacing hundreds more roads and footways across RCT. Over £20m was spent on improving highways in 2017/18 alone, and a further £23.6m has been allocated for the 18/19 financial year to continue this progress. Labour’s continued investment in this area means that only around 7% of roads in RCT are classed as red (2016/17), or requiring urgent attention, and this year’s budget allocation will support the delivery of over 160 highway, structure and footway improvement schemes. Fund over 150 Apprenticeship and Graduate posts within the Council to boost youth employment in RCT. Under Labour, 45 apprentice (34) and graduate (11) positions have already been created, with successful applicants commencing their two-year, paid programmes in September. For 2018/19, a further 22 positions (15 apprentices and 7 graduates) have been created, meaning that 67 of the 150 positions will have been created before the half way point of this Council term. Work with the Welsh Government to build further new 21st Century Schools across the County Borough. RCT is set to benefit from the largest 21st Century Schools investment programme in Wales, after a further £160m was agreed to deliver the Band B aspect from 2019 to 2026. Positive progress also continues to be made on the projects falling under the Band A phase across the Rhondda, Tonyrefail and Cwmaman; building on the successes of projects such as Y Pant. Roll out the Welsh Government Free Childcare offer – the most generous in the UK. Recently confirmed that, following its successful introduction and expansion, the pilot will be extended to cover all wards in RCT from September – meaning that Labour have already successfully delivered on this commitment. Keep our streets and highways clean, take further action to tackle dog fouling, improve recycling rates and invest in our green spaces. Last year, the Council introduced a tough new Public Spaces Protection Order to combat dog fouling; and also secured RCTs place amongst the top 10 Local Authorities in Wales for recycling. Funding has also been identified for investment in our parks and green spaces over the next 5 years. Labour Councillors have also supported a number of causes over the last year, including the introduction of a Notice of Motion in support of the Lucy’s Law campaign to ban third party puppy sales and end irresponsible puppy farming practices. Other examples of “socialism in action” include the decision to implement a discount in burial fees for veterans, which not only reinforces the Labour Council’s support for the local Armed Forces community, but also makes RCT the first Local Authority in the UK to introduce such a measure; and the move to introduce Council Tax exemptions for care leavers up to the age of 25. Labour Council Leader, Councillor Andrew Morgan, commented: “A tremendous amount of progress has been made in just over a year and we have successfully laid the foundations for delivering on all of our commitments by the end of this Council term. “We are determined to continue to be bold and ambitious in our approach, and the fact that we were the only Party to commit to large scale projects like the Taff Vale development, the Llanharan Bypass and the Cross Valley Link show that we are the only Party capable of taking Rhondda Cynon Taf forward in these tough economic times. Whilst Opposition Parties continue to talk down and criticise the communities of Rhondda Cynon Taf, Labour Councillors are continuing to work hard to deliver real improvements in their wards and the wider County Borough in challenging economic times. 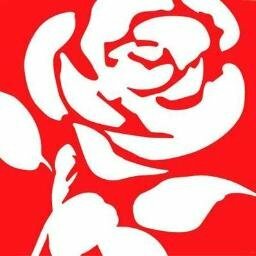 The positive progress made in a little over a year demonstrates that Labour are committed delivering on the commitments made to residents and the huge levels of investment, made possible through proactively tackling decreasing budgets by identifying efficiencies, are set to have a transformative effect on the future of RCT.